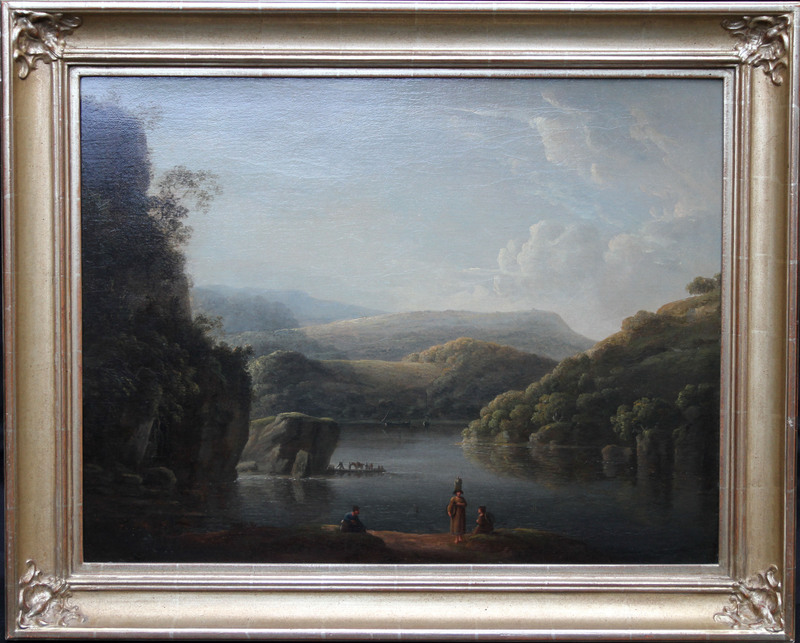 A fine British Old Master landscape oil on canvas painting by Anthony Devis. 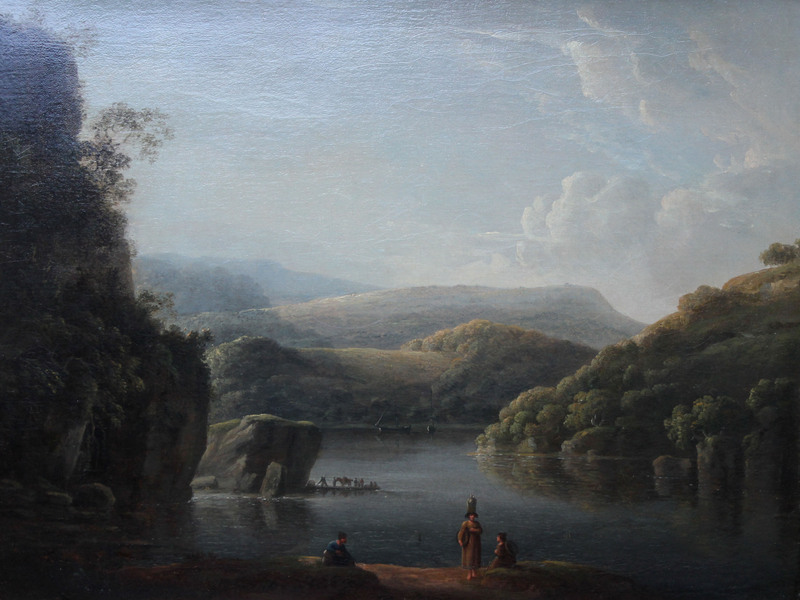 The work depicts the Welsh landscape of the River Neath in Glamorganshire from the Britton Ferry. The painting dates to circa 1790 and is housed in a gallery frame. A fine Old Master landscape with Christies London provenance.Title and description verso. A stunning painting. Framed 33 inches by 28 inches. Anthony Devis (18 March 1729 – 26 April 1816) was an English landscape painter, working especially in watercolour and oils and active in London. Devis was born in Preston, Lancashire. His father, also called Anthony Devis, was a carpenter and town councillor in the town. Anthony junior was the elder of two sons of his father's second marriage, to Anne Blackburne. His father also had two sons by his first marriage, to Ellin Rauthmell, the elder of whom was the portrait painter Arthur Devis. Anthony Devis the younger did not marry.